Prolific iPhone hacker turned automotive solutions professional George Hotz (aka Geohot) today announced yet another addition to his company’s hardware portfolio. 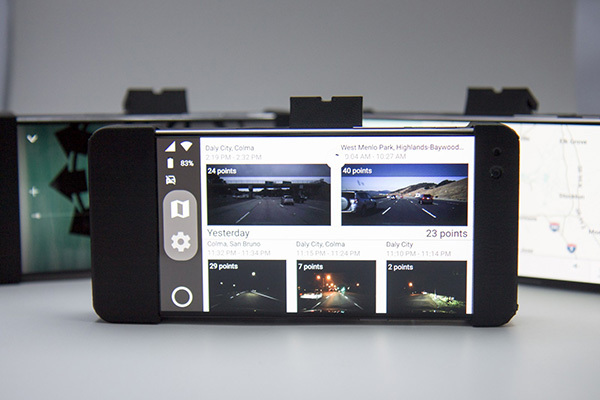 The new solution, called EON, is an open-source aftermarket ensemble that combines a dashcam with navigation and music, and can tie into other solutions on offer by Comma.ai. It’s been nearly a year since Comma.ai announced the cancellation of the Comma One aftermarket add-on that aimed to add autonomous driving capabilities to compatible cars . Since then, Hotz’s company has made the technology behind the Comma One available to other developers as openpilot, released a dashcam app for Android and iOS called chffr, which, in addition to serving as a “Fitbit for your car,” collects data to improve the open-source openpilot software, and announced three different development kits, the latest being the EON. 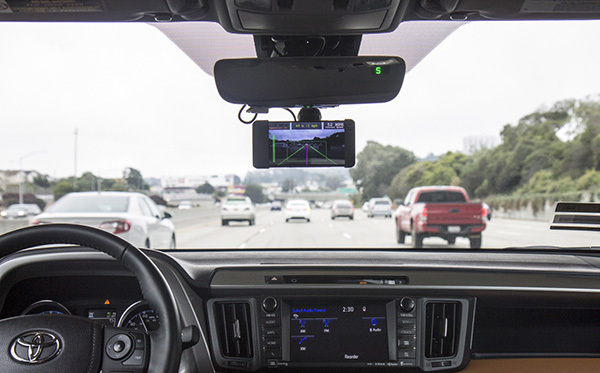 The company describes EON as “your new dashboard,” comprising “a dashcam, navigation, and music,” where the entire assembly can be attached below a car’s rear-view mirror. Powered by Android instead of the more limited Android Auto or CarPlay, the setup will allow users to run a wider variety of apps, including Waze, Spotify, and of course, the company’s own chffr app. chffr runs on iOS and Android, and is just about the best dashcam experience you can get…in an app. But we want to go beyond that, so we built a dedicated device. Today, we are selling the EON Dashcam DevKit, a dedicated hardware dashcam. It runs chffrplus, which ports over some of sensor and managment niceties from openpilot. No need to start an app and mount your phone — EON sits there waiting for you, and starts when you begin driving. Beyond simply serving as a more powerful dashboard, EON can communicate with the Comma.ai Panda OBD-II dongle and Giraffe add-on to collect data from car and its sensors over WiFi and USB. The move ties in well with the Comma.ai vision to become the “Android of self-driving cars.” To circumvent any concerns that the authorities might have with their endeavors, as was the case with the Comma One, use-case scenarios for each product are being kept open-ended, with the primary aim being driver assistance, at least until concrete regulations have been defined for self-driving technology.